It's simple. 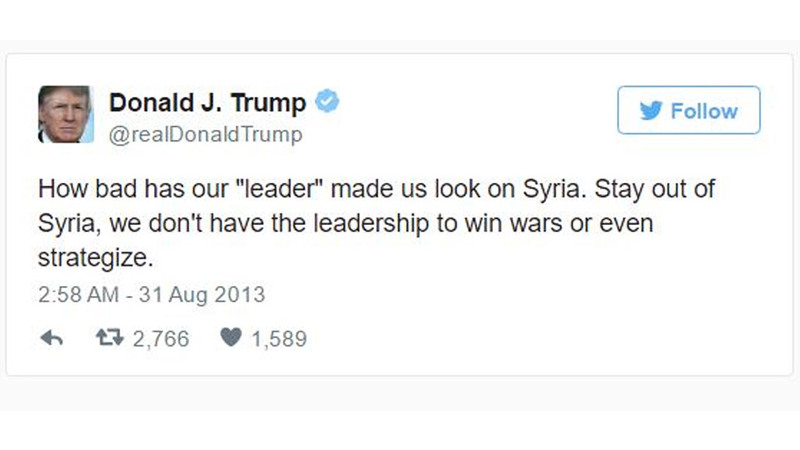 If Trump gets a war going with Russia in Syria - Trump (and Kushner) is a snake. to get rid of Russia from Syria. But Trump said he'd work together with Russia. So is Trump a snake? We'll soon see. ^ after he was elected. We all know the USA warmongers in Iraq, Afghanistan, Libya are the animals. And it looks like Trump is a liar. Trump is a liar. He said stay out of Syria. Now he's threatening WW3. When Russia is pushed out of Syria - Iran is DEAD.